A ROUND of job cuts at Express Newspapers has finally come to an end, at least as far as the group’s Scottish operation is concerned, following voluntary redundancy packages having been agreed with half a dozen writers and production journalists. Among those believed to be going are football writers, Jim McLean and Ally Guthrie, plus news reporter, Derek Watson. Also going is art department staffer, Tommy Wilson, and his colleague Ian Kerr, who works on a casual basis. Freelancer, Meg Milne, who has been with the Scottish Sunday Express, as a casual, for 20 years, is also going. Earlier this year, sports sub-editor, Alan Ewart, took voluntary redundancy to train as a school teacher. 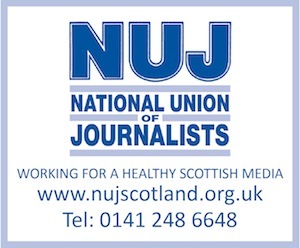 The redundancies, along with other cost-cutting, is understood to have satisfied bosses in London that no further cutbacks are required, at least for the moment, at the Scottish Daily Express and the Daily Star of Scotland, along with their Sunday sister titles.